Analu Solana is the chief executive officer of Saatchi & Saatchi, an advertising agency that provides advertising, communication, digital and shopper marketing services. 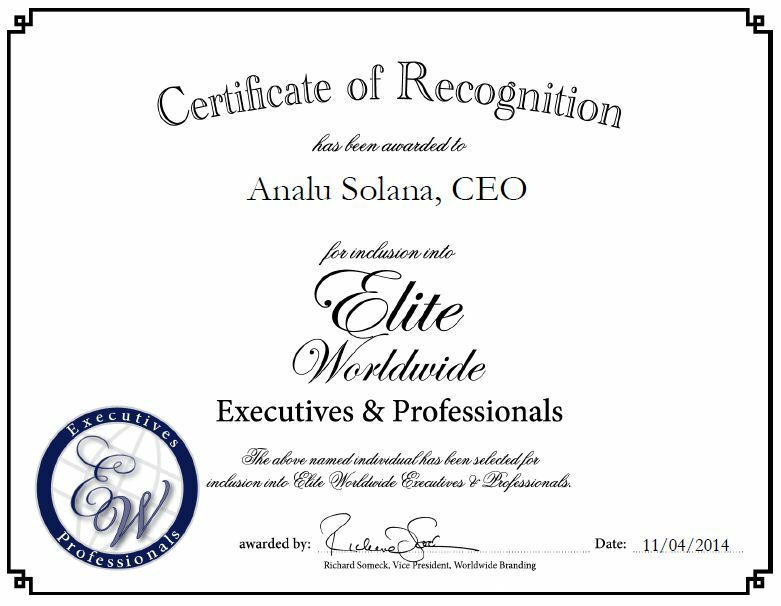 Ms. Solana has garnered 30 years of professional experience and has gained a reputation for her skills in developing business and communication strategies, as well as building strong teams and startups in Latin America. Throughout her career, Ms. Solana has assisted the agency in becoming among the top five in billings and creative awards in the Mexico market, including 12 Effies in different categories. She has a proven track record of creating business growth and acquiring big-name clients, including P&G, Pepsico, Visa, Mercedes Benz, Fedex and HP. Ms. Solana takes great pride in her work and attributes her success to her passion and discipline.